Food trucks are fun and tasty! 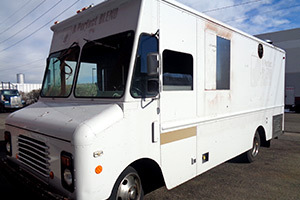 At Diversified we can repair and refinish your food truck to help ensure the graphics you install last for years to come. 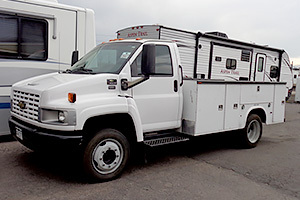 We will work on any size or brand of truck for your next food truck project. 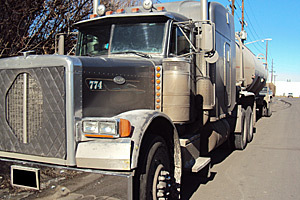 Service trucks are a crucial part of a fleets maintenance program. 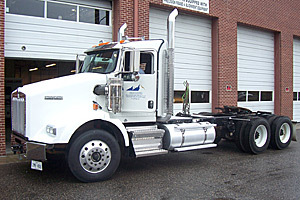 A great looking service truck shows the public and DOT that their company invests in safe and great maintenance practices. 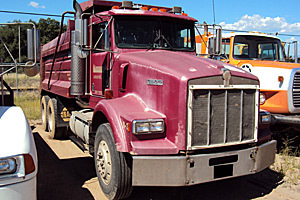 This repaint has helped the company set itself apart from their competition while saving money by not purchasing a brand new service truck. 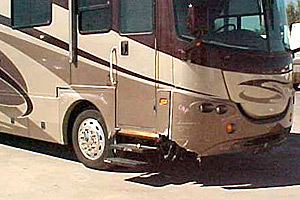 Delamination can be an issue for some RV sidewalls. 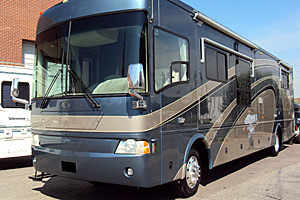 This is an example of one RV we removed the sidewall paneling and replaced with new because of delamination. 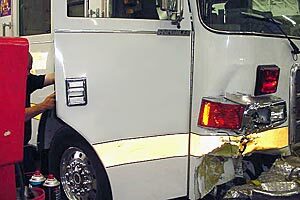 Animals even get in the way of emergency vehicles. 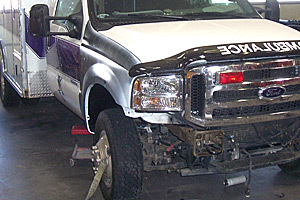 This ambulance came in contact with a horse on the passenger side and we made all the body and suspension repairs needed to get them back on the road quickly. Even with bright lights and loud sirens accidents still happen with fire trucks. 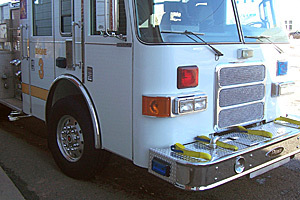 We replaced and repaired all necessary parts on the right front corner and door of this fire truck. 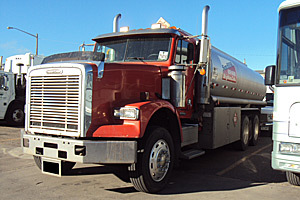 Upgrading the look of your fleet helps get attention. 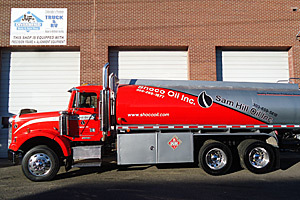 This is a great example of a company that is getting lots of attention with their new look we give their trucks. 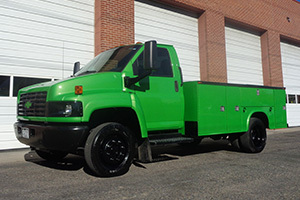 This truck had all the necessary body damage repaired, the frame and suspension was sandblasted, and then painted to their company specifications. This one explains its self. 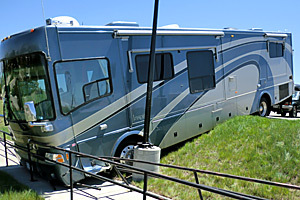 Unfortunately the brakes were released and this motorhome made its way down the hill into the fence. 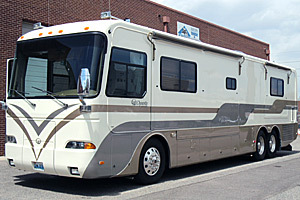 We handled all the necessary frame, suspension, body and paint repairs to get this customer back on the road to vacation. 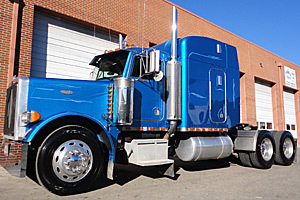 What a great looking KW T800 this turned out to be. 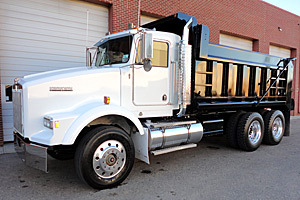 After sandblasting the frame and dump body we refinished the complete truck. 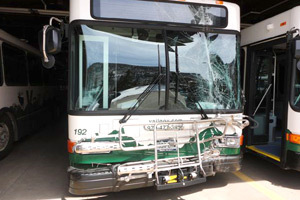 Bus vs. tree. 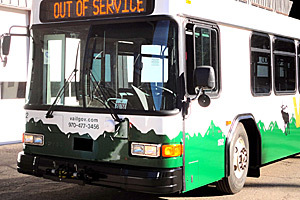 We had to remove the entire front clip of this bus and then install new parts before paint and graphics. Sometimes vehicles end up in the ditch. 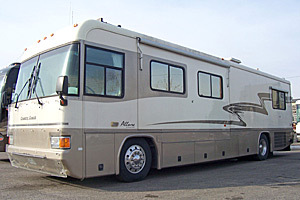 That’s what happen to this motorhome before the customer brought it to us for repairs. 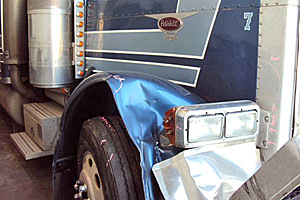 This truck is a Peterbilt 379 that damaged the right fender and hood side. 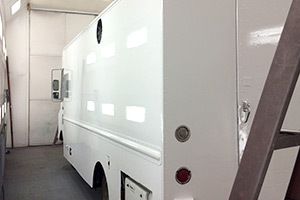 We loaned the customer a swing hood while we were repairing and painting his hood. After we were finished he came back and swapped our hood for his. Saved him downtime and money. 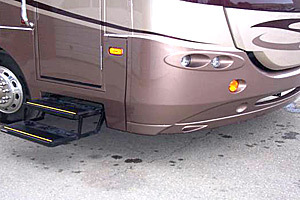 Layovers are not uncommon in our industry. 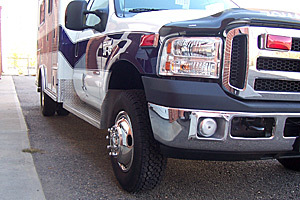 We repair lots of vehicles that have been laid over. Diversified is your one stop shop when it comes to a layover. 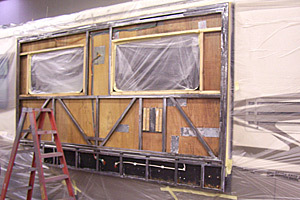 We took care of checking the rods and mains along with straightening the frame. 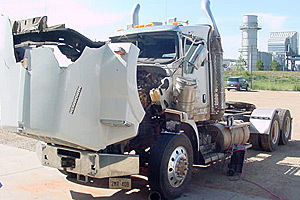 After the frame was straight we handled all the necessary body and paint repairs. WOW what a difference! 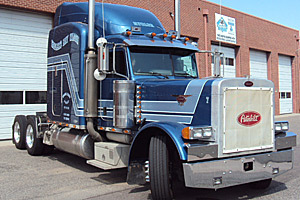 This is a great example of an older 379 Peterbilt we brought back to new. 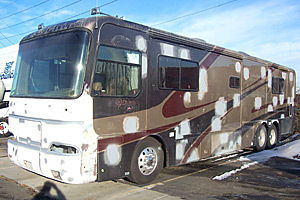 This motorhome was damaged in a hail storm and then the customer decided he wanted to change the paint scheme.